This coming weekend is going to be Biblical! Lol! Easter weekend commences on Friday with Good Friday and the first Passover Seder begins at sundown on Friday night. These two holidays usually occur close to each other, but this time they are REALLy synced up. As I was going through some of my footage I realized that I recorded a Passover song last year that I never published. !! 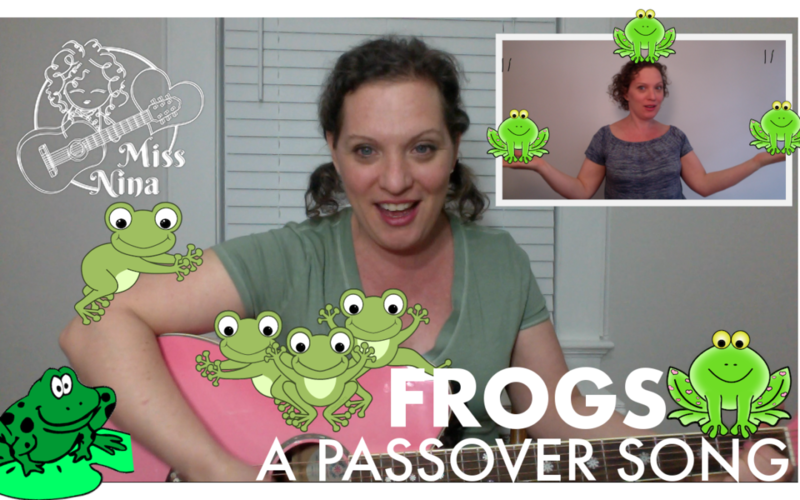 In the context of the passover story – as I explain in the beginning of the video (in a super simple way) – it’s a song about one of the 10 plagues: Frogs. and frogs on his head. and frogs on his toes.